Can I dial 9-1-1 from a cellular phone? Yes! Even if the phone does not have a service plan from a provider you can still call 9-1-1. What is Phase II 9-1-1 service? Phase II is a requirement of the Federal Communications Commission for wireless phone companies to provide an approximation of the 9-1-1 caller's location in the form of latitude and longitude. Enhanced 9-1-1, or E9-1-1, is a system which routes an emergency call to the 9-1-1 center closest to the caller, AND automatically displays the caller's phone number and address. The Public Safety Telecommunicator will typically ask the caller to verify the information, which appears on his or her computer screen. What about Internet/Digital Phones & 9-1-1? Voice over Internet Protocol (VoIP) also called Internet, digital, broadband, or cable phone service is a rapidly growing alternative to traditional phone service. Its popularity is fueled primarily by low prices, new features and the consumer's ability to choose a phone number from nearly anywhere in the country (and sometimes, other countries). Many industry experts anticipate VoIP's growth will outpace the growth seen by the wireless industry in the last decade. VoIP may look and appear to work like a traditional phone, but it connects to the internet not a telephone line. There are several critical factors to consider regarding the impact of this service on your ability to call 9-1-1 in an emergency. While VoIP is an attractive option, it is important for consumers to understand the potential limitations the technology has with respect to accessing 9-1-1. Check your service provider's website for emergency calling features. When calling 9-1-1, give your location, and call back number. Call back if you get disconnected. If you travel with your VoIP adapter, your call may not reach the correct 9-1-1 center. Call from another phone. 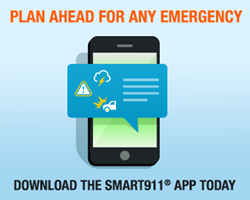 Verify that you can access 9-1-1 with your phone. 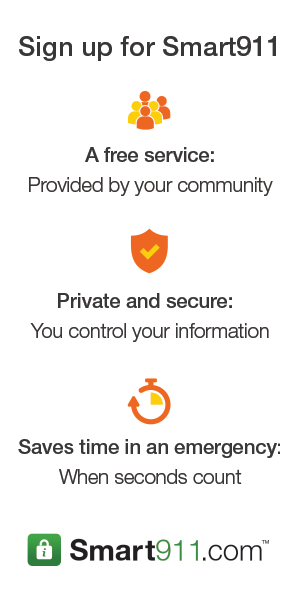 Check your service provider's Web site for emergency calling features. Be sure to keep your registered location current with your VoIP provider. This is very important if you move! If the power is out, your VoIP service may be out too. Consider purchasing a back-up power supply. Can the 9-1-1 Center Communicate with the speech and/ or hearing impaired? Or what if the 9-1-1 caller doesn’t speak English? All workstations in the Communications Center are equipped with Telecommunication Device for the Deaf (TDD) that allows typed (text) communication with people who are hearing and/or speech impaired. If a caller does not speak English, our center has access to Language Line Services that provide 24hr/day over-the-phone interpretation of over 175 different languages. The process of getting an interpreter on the phone with the caller is generally less than one minute. Can I dial 9-1-1 from a payphone? Is it possible to send a text message to 9-1-1? No. At this time, you are not able to send a text message to 9-1-1 in Pike County. Should I program 9-1-1 or turn on my auto 9-1-1 feature on my cellular phone? We do not recommend that you program 9-1-1 or use the auto 9-1-1 feature on your cell phone. There are numerous accidental calls to 9-1-1 from cell phones that have this feature, especially when the cell phone inadvertently presses against another object and activates the programmed call. In most cases, cell phone owners have no idea their phone has called 9-1-1. Help reduce accidental calls to 9-1-1 by only calling when you have a life-threatening emergency. Can I keep driving when I call 9-1-1 on a cellular phone? We recommend that you pull over when calling 9-1-1, as there is less chance of the cell phone signal being dropped in the middle of the call. Also, any emergency instructions that need to be carried out can best be done while you're stopped. Remember, it is best to be in one place so help can get to you, instead of trying to meet them somewhere. If you cannot safely pull over to speak to a 9-1-1 operator, then stay calm, pay attention to the roadway with surrounding vehicles, and follow the call taker's instructions. What if I don’t know where I am when I call 9-1-1? Look for landmarks, large buildings, street signs or paperwork nearby that may contain address information. Think back to the main street or highway you were near when your emergency occurred. If others are around, ask them where you are. Do not solely rely on your cell phone location to tell 9-1-1 where you are! When I call 9-1-1 from my cell phone will the Telecommunicator know where I am? I was trying to make a long distance call from my office and got 9-1-1 by mistake. Why does that happen? In some offices/businesses the telephone equipment may require you to dial "9" to get an outside line to dial out. This type of system is called a Private Branch Exchange (PBX). A PBX is basically a private telephone system that is connected to the public telephone system. If you happen to dial "9" to get an outside line and "1" for a long distance number, the "1" could accidentally get pressed twice or be held down too long, therefore 9-1-1 is actually dialed. Some PBX systems also require that you dial "9-9-1-1" in order to dial 9-1-1 for emergency assistance. You should check with the person(s) responsible for maintaining your telephone system to see if dialing "9-9-1-1" is a requirement for your office. If it is, make sure that these instructions are posted in plain view at each phone for employees to see in case they need to call 9-1-1. Do not hang up! Remain on the line (even if you are unsure at first if the call went through) and tell the Telecommunicator that the call was a mistake. If you hang up prior to your misdialed 9-1-1 call being answered, the call taker must then send law enforcement and attempt to call you back. This takes up precious time that the call taker could use to answer another call that may be an actual emergency. A common misconception is that you will get "in trouble" for accidentally dialing 9-1-1. This is simply not true! Accidents happen. We understand! How can I help the Public Safety Telecommunicator? Answer all questions asked by the Telecommunicator. Listen to all instructions provided to you by the Telecommunicator. Speak clearly (so we can understand what you are telling us). Remain calm (difficult to do at times, we understand. But by remaining calm, you will help the Telecommunicator gather valuable information needed by first responders). What should I teach my child about calling 9-1-1? Their full names, their parents' full names, their home address and phone number with area code. What an emergency is and when to call 9-1-1. That it is against the law to call 9-1-1 as a joke or prank. If they call 9-1-1 by mistake, do not hang-up, they will not be in trouble for making a mistake. To remain calm and answer all questions they're asked. Not to be afraid to call 9-1-1 if they need to. What are the state laws involving 9-1-1? This link will take you to a copy of the new 9-1-1 law that took effect October 1, 2013. Addresses are assigned to provide a uniform numbering system for public safety. An address that can be tied to a specific location will better enable emergency personnel to locate you faster when needed. A faster response time can make a significant difference in survival and degree of recovery. If you are unsure of your correct 9-1-1 address, please contact the Pike County 9-1-1 Business Office at 334-670-6600 between 8 A. M. and 5 P.M. Monday through Friday. What is the charge for getting a 9-1-1 address? There is no charge for obtaining an address. How long does it take to receive a 9-1-1 address? Pike County 9-1-1 staff strives to have an address assigned within ten (10) business days from receiving the request. However due to several factors such as address discrepancies, private drive naming or staffing levels that goal is not always met. Can I pick my own 9-1-1 address? No. There is a system in place to allow your location to have a specific address. The specific address is unique and provides information on how far from the beginning of the road and what side of the road your structure is located. Will my new address 9-1-1 address and number be the last address I’m assigned? Nothing is forever, but it is intended to establish permanent addresses for all residents. There have been several address discrepancies located in all areas of Pike County and the addressing staff are continually working to correct issues as they are identified. If you think your address or another address in your area is incorrect please do not hesitate to contact the Pike County 9-1-1 Business Office at 334-670-6600 so that an Addressing Technician can verify the address. An incorrect address not only effects that structure but also the surrounding area. When do I begin using my 9-1-1 address? Please start using your address immediately. The Postal Service will continue to deliver to your old address for a period of up to one year after you are issued a 9-1-1 address. To assist emergency personnel, post your 9-1-1 numbers at the entrance to your driveway or house or BOTH.